When it comes to a large event, you want to make sure the food, drinks, and atmosphere all match the tone you want to set, which is where Divani comes in! 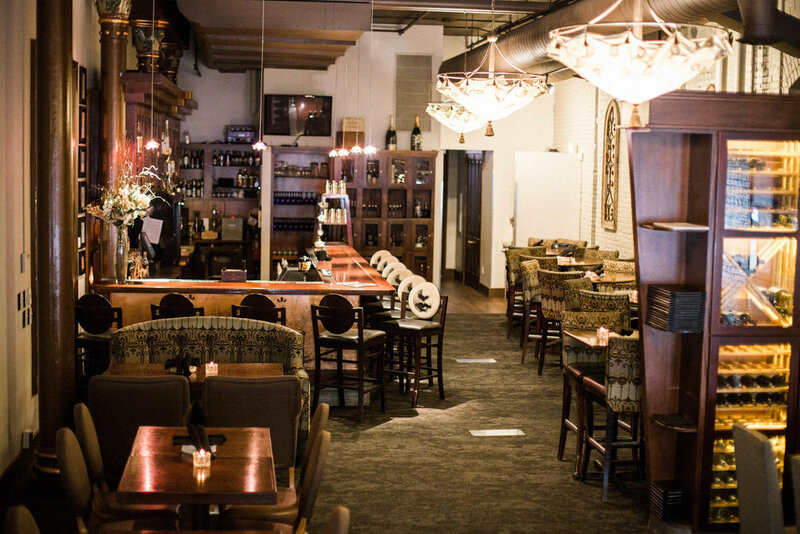 Located in the heart of the popular Grand Rapids restaurant and brewery district, Divani is a fine dining experience coupled with a world-class wine collection and hand-crafted cocktails. The rich interiors create an inviting and elegant environment for all guests that enter the space. Divani kitchen is led by Executive Chef, Jeff Baird who has over 20 years of experience in the local restaurant scene. His seasonal and trend inspired dishes are executed with classical skill with a modern twist. In addition to a luxury dining experience, Divani also offers colorful happy hour offerings which include the popular cravings small dish menu and drink specials. Come visit us here at Divani and let us share our passion for unique dishes and beverages with you. An approved proposal or signed Event Agreement and $400 deposit is required to book your event. Your non-refundable deposit is applied to the final bill. A 50% non-refundable deposit is required to secure any rentals and additional services. One half of the estimated balance is due thirty (30) days prior to your event or the previous business day when that day falls on a weekend. The remaining balance is due immediately following your event. Add 6% Michigan State Sales Tax where applicable. Groups requesting a tax exemption must notify Divani at the time of booking and provide proper documentation. Add 22% Service Fee to all food and beverage sales. A 2% Administrative Fee will be added to all rental s and additional services.